GDPR is coming and by now everyone is aware of it to certain extent, but one of the most important things that you need to do in the run up to the roll out of GDPR, is to get consent from your contacts so that when it comes in, you can still communicate with prospects and customers. To help you gauge where you are in getting consent for your whole database, we will be adding the below bar to your account. This will show you how many you have successfully opted back in and how many are still outstanding. 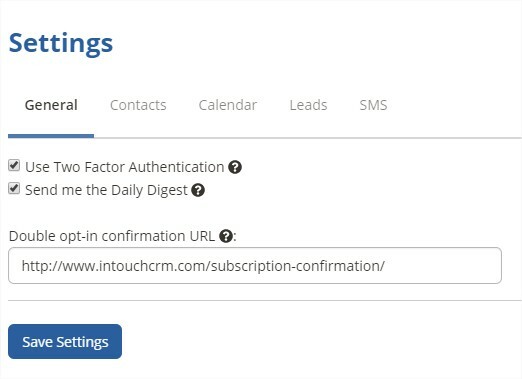 If you include the new %ConfirmOptIn% tag in your email as you would do for the Unsubscribe tag, a link will be generated that when clicked will store confirmed opt-in proof of consent. We recommend you set up a landing page on your website where the contact will be redirected after clicking the link. You can configure this URL by completing the "Double opt-in confirmation URL" field within Settings on the General Tab. Once a contact clicks the confirmation link there will be a tick next to their name in the contact list and details of the proof of consent will show within the contact record itself. 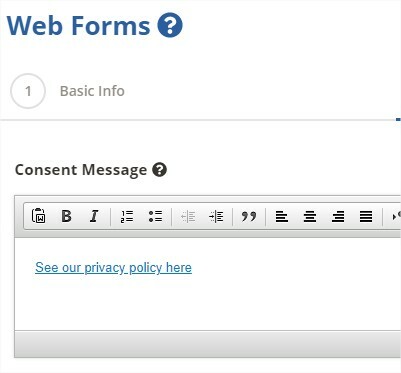 If you click the "email" link you will be able to see the content of the email the contact gave the consent from. Double opt-in is industry best practice and we would recommend you change your forms to use double opt-in. This simply means if someone completes a form on your website they will receive an email containing a link they need to click to confirm they did, in fact, subscribe to your list. We are also going to be including a new field for web forms that allow you to insert a privacy notice for your form, which is key for GDPR. Give this a go with one of your web forms and you'll see the same results as you did for consent via email but this time we will display the fields completed in the form and any consent text. You can now also add your own text and links above your form so you can explain why the data is collected, how it will be used and link to privacy policies for example for GDPR. If you have written the proof of consent from a face-to-face meeting you can upload this from the contact record. To do this click the "Upload proof of consent" button.